George Friedman at Stratfor is one of my favorite analysts on world geopolitics. This is because he tries to look at the world as it is, without the pointless moralizing, neoliberal ideologizing and end-of-history triumphalism that clouds too much American geopolitical thinking. Hence whenever I come across new and substantial material from him, although I might not agree with some (or most) of what he says, I nonetheless adjust my beliefs (in a good Bayesian fashion). And lo and behold!, he comes out with a new book – The Next 100 Years. Funnily enough, it is about the next 100 years, or more specifically, the interplay between technological and demographic trends and geopolitical dynamics that will shape the twenty-first century. I was originally going to copy out its entire first chapter, Overture (which is available online) and just comment on it. Unfortunately this makes it far too long and I had problems publishing it. So I’ll headline and summarize Friedman’s main points instead and leave my original commentary largely unchanged. 1. The future is unpredictable: “Be practical, expect the impossible”. Friedman starts off by summarizing the history of the last century in twenty year chunks. Thus we got from the globalized idyll of 1900, through the chaos of 1940, the gathering storm clouds of 1940, the American dominance in 1960, the rising Soviet challenge in 1980 and culminating in the renewed globalized idyll of 2000 – only to be again disrupted by 9/11. Completely agreed – most commentary is about the short-term, or at best linear extrapolations of short-term things. Good futurists think in terms of differentials, exponents and tipping points. 2. However, some trends are dominant and can be foreseen. It was possible to forecast European wars on the basis that a newly united and powerful Germany was in an insecure position in between France and Russia; it would have been harder to predict how devastating these wars would have and that they’d have led to the dissolution of the European empires. Interestingly, one of the best seers in this respect was Friedrich Engels. As early as 1887, he envisaged “a world war of never before seen extension and intensity…eight to ten million soldiers will slaughter each other…the devastations of the Thirty Years War condensed into three or four years and spread all over the continent; famines, epidemics, general barbarization of armies and masses…collapse of the old states and their traditional wisdom in such a way that the crowns roll in the gutter by the dozens and there will be nobody to pick them up…general exhaustion and the creation of circumstances for the final victory of the working class”. He even got the casualties and timeline correct! Other great prophets were the Warsaw banker Ivan Bloch, Moltke the Elder and Colmar von der Goltz. Friedman sees the United States as the dominant pivot of the twenty-first century due to its unrivaled economic, military and political power. This was due to its overwhelming naval power and strategic position that allow it to control both Atlantic and Pacific trade. Because of its wealth and the vast resources needed to build a comparable blue-water fleet, it’s continued dominance is assured. Although ostensibly overwhelming, American naval dominance is going to be challenged by new developments in military technology such as supercavitating torpedoes, UAV’s and advanced cruise missiles. As its own war games from 2002 demonstrated, the age of the aircraft carrier battle-group is drawing to an end even against relatively unsophisticated foes. The inherent power of the United States coupled with its geographic position makes the United States the pivotal actor of the twenty- first century. That certainly doesn’t make it loved. On the contrary, its power makes it feared. The history of the twenty- first century, therefore, particularly the first half, will revolve around two opposing struggles. One will be secondary powers forming coalitions to try to contain and control the United States. The second will be the United States acting preemptively to prevent an effective coalition from forming. As Friedman points out in the book, “declinism” has been a recurrent feature of American history, mostly recently in the 1970’s and 1980’s when stagflation, oil shocks, the growing power of the Soviet Union, deindustrialization and soaring crime rates and perceived social and moral collapse led to feelings of despair over the future of the American empire. On the other hand this does not mean that there won’t be potential setbacks. After abating somewhat in the 1990’s, the above trends returned in force during the 2000’s. Meanwhile, the national power of China and Russia have soared and are projected to continue doing so, at least in the medium-term. Nowadays the US can only afford plentiful butter and guns because of the flood of cheap credit it gets from abroad (due to the now disappearing “American alpha” and the status of the $ as the global currency reserve). It’s industry has been hallowed out and now faces the real risk of a debt-and-currency crisis within the next few years. Should that come to pass the strain of maintaining a superlative global military presence will become economically and politically unbearable. 3. The US will do its best to prevent the emergence of a Eurasian hegemon or hostile coalition is spot on. If we view the beginning of the twenty- first century as the dawn of the American Age (superseding the European Age), we see that it began with a group of Muslims seeking to re- create the Caliphate—the great Islamic empire that once ran from the Atlantic to the Pacific. Inevitably, they had to strike at the United States in an attempt to draw the world’s primary power into war, trying to demonstrate its weakness in order to trigger an Islamic uprising. The United States responded by invading the Islamic world. But its goal wasn’t victory. It wasn’t even clear what victory would mean. Its goal was simply to disrupt the Islamic world and set it against itself, so that an Islamic empire could not emerge. The United States doesn’t need to win wars. It needs to simply disrupt things so the other side can’t build up sufficient strength to challenge it. On one level, the twenty- first century will see a series of confrontations involving lesser powers trying to build coalitions to control American behavior and the United States’ mounting military operations to disrupt them. The twenty- first century will see even more war than the twentieth century, but the wars will be much less catastrophic, because of both technological changes and the nature of the geopolitical challenge. True. It has a superb geographical location that is practically invulnerable, economically optimal and is still underpopulated (in comparison with Asia or Europe, though not from an ecological perspective). Therefore it will certainly remain one of the leading Great Powers, unlike Britain during the last century. 4. Russia will reconstruct its empire in the 2010’s, but will collapse irrevocably in the 2020’s. As we’ve seen, the changes that lead to the next era are always shockingly unexpected, and the first twenty years of this new century will be no exception. The U.S.–Islamist war is already ending and the next conflict is in sight. Russia is re- creating its old sphere of influence, and that sphere of influence will inevitably challenge the United States. The Russians will be moving westward on the great northern European plain. As Russia reconstructs its power, it will encounter the U.S.- dominated NATO in the three Baltic countries—Estonia, Latvia, and Lithuania—as well as in Poland. There will be other points of friction in the early twenty- first century, but this new cold war will supply the flash points after the U.S.–Islamist war dies down. The Russians can’t avoid trying to reassert power, and the United States can’t avoid trying to resist. But in the end Russia can’t win. Its deep internal problems, massively declining population, and poor infrastructure ultimately make Russia’s long- term survival prospects bleak. And the second cold war, less frightening and much less global than the first, will end as the first did, with the collapse of Russia. Friedman has a lot of (fairly convincing) theories on how Russia’s geostrategic position influences it to “anchor” its position in Central Asia, the Caucasus and Ukraine, and expand as far west as possible on the North European Plain (see The Geopolitics of Russia: Permanent Struggle). However, this “imperial overstretch” alarms the European and oceanic powers, who interpret these moves as aggressive and threatening to their own national interests. They seek to contain Russia, which must bear occupation costs and devote more resources to maintaining a military balance. Eventually a breaking point is reached and centrifugal forces tear the country apart in periodic “times of troubles”, in which Russia in encircled and preyed upon by predatory Powers. Viewing things from this perspective, a lot of things start to make sense, from the conflict in Georgia to its distracting the US by complicating its position in the Middle East and Latin America with arms sales, pursing friendly relations with regimes unfriendly to Washington, pushing for the creation of a common Eurasian (read: non American) security space, etc. He terms this the Medvedev Doctrine. According to Friedman, Russia faces long-term collapse due to “deep internal problems, massively declining population, and poor infrastructure”. I would dispute both the severity and validity of this. “Deep internal problems” is simply too ambiguous. Population decline is unlikely to be massive; at worst, it will fall at a slow pace. As for infrastructure, even the Economist collates projections that Russia will invest heavily in infrastructure, accounting for some 10% of infrastructure spending among emerging markets from 2008 to 2017 (this is especially impressive when considering that unlike other heavyweights like China or India, Russia already has most of the physical infrastructure of a developed economy in place albeit it is dilapidated; and that it is a leader in per capita spending). But even if demographic and development trends do not work out as I expect above, this would not necessarily lead to its collapse. For that to happen, a whole lot of other things must come into play simultaneously and for a prolonged period – ethnic discontent, violent insurrections, loss of national faith, economic sclerosis, unbearable social and military burdens, collapse in energy prices, etc. No real trends indicate that this will be the case, however. The reality of peak oil will mean energy superpowers like Russia will be courted by all major industrial powers, at least until (and if) they wean themselves off it – the plausibility of which I very much doubt given the fluidity and “net energy” of oil and gas. It also has strong positions in nuclear technology and space technologies, and is devoting huge resources and effort into developing hi-tech clusters in areas like nanotechnology and microelectronics. What I expect to see is countries like China and Germany getting guaranteed energy supplies in return for transfers of machinery and know-how, which will lead to Russia’s rapid convergence to developed country income levels around about 2020. Meanwhile, global warming will be opening up new hydrocarbons deposits, shipping routes and fertile land in Siberia and the Arctic. I’ve been writing about this since quite a while back. Re-ethnic discontent, firstly, it is unlikely, though not impossible, that the resurrected Russian empire will be of the old school variety (i.e. completely integrated politically). What both Friedman and I think more likely is that institutional ties like Eurasec (economic) and the CSTO (military) will become much more visible and all-encompassing, perhaps culminating in some kind of structure, let’s call it the Eurasian Union, that will lie somewhere in between the EU and the US in political integration. 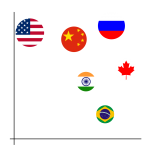 The member states will have a great deal of latitude in dealing with domestic issues, but their military-industrial, defense and foreign policy will be tightly linked and co-ordinated. Secondly, even as Russia’s softer neo-imperial intentions become clearer this does not seem to have any effects on the popularity of its leaders in the countries that matter (i.e. the Near Abroad). Far more Ukrainians approve of Putin than of their own President (who languishes in the single digits) or any other Ukrainian leader. Same goes for Belarus, and the Central Asians too. Some kind of confederation between Belarus, Kazakhstan, Russia and Ukraine enjoys the support of silent majorities in all four countries. If that were to happen, the population of the dominant Eurasian power will increase from 142mn to about 215mn and the combined industrial product will increase by at least 50%, due to both greater quantity, greater economies of scale and the restoration of severed supply chains from the Soviet era. The military-industrial complex will especially benefit. Central Asia is an important geostrategic focus (part of the Heartland, in Mackinder’s geopolitics), a promising energy source and demographic reservoir. Although their immigration north and west will exacerbate tensions with Slavic peoples, this should not be critical since they are generally appreciative of Russian culture and are not prone to the radical Islamism prevalent further south or even in Caucasian Russian republics like Chechnya. Their inclusion would complete the basis for a superpower. The major obstacle would be the Balts, Georgians and Poles. Extending the Russian empire to them would be costly, unproductive and undemocratic (since unlike the central Asians and Orthodox Slavic states, they do not want to partake of this enterprise). Thus the appropriate policy regarding them would be to insist on mutual cooperation and neutrality. Russia has levers against them – ethnic Russians in the Baltics, the pragmatism of ordinary Georgians towards Russia and gas and oil supplies to Poland. They are all of ultimately marginal economic significance, and are acceptable as neutral buffers against Western encroachment. Thirdly, violent revolt is also becoming ever more unlikely. The economy will probably be expanding rapidly and populations throughout this empire will certainly be aging – hardly recipes for bloody wars of national independence. In the cases of the Slavic states or even Central Asia, it is next to inconceivable. Even the Caucasus will quieten down. One of the unremarked things about the 1990’s and the 2000’s is the region’s demographic transition to sub-replacement fertility levels (2.1 children per woman), including by this time even such places like Ingushetia and Daghestan. The only major exception is Chechnya, which today has a fertility rate of 3.1 children per woman. I think the fact that it was also the only region to flare up into open revolt was not coincidental. As the eXile‘s War Nerd points out, the only countries willing to fight bloody guerilla battles today are poor and have lots of children. I could go on and on, but in summary I think Friedman’s vision of a new Russian empire is grounded in reality – he predicts that Russia will regain most of its old Soviet frontiers within the next decade, and will by the mid-2010’s be extending its influence back into the Baltics, the Balkans and Visegrad. However, I’m not so certain of his prognostications of its end – which is based on far less evidence. Which is not to say its not going to happen. One possible scenario: growth of internal corruption and institutional dysfunction; slowdown or cessation of growth due to economic convergence being achieved, and an eruption of spillovers from bad loans as happened in Japan in the 1990’s which paralyze the economy; unchecked growth in entitlements; social and political strains; reduced European reliance on Russian natural gas due to new supplies from North Africa and the Middle East and effective energy conservation; and renewed pursuit of Prometheism on the part of the US, Polish proxies and perhaps some West European allies; and perhaps a temporary commodity crash. Friedman predicts in his book that Russia and the US will be in a full-fledged New Cold War by the mid-2010’s; perhaps the onset of so many difficulties, simultaneously, will open up a “window of opportunity” for the US to break up the Russian empire to eliminate a strategic competitor and open up access to its natural resources. Far-fetched? Yes. But possible. After all, every great Atlantic / sea power tries to form alliances and undermine powerful Eurasian / land empires. Possible, because history hasn’t ended and won’t end for a long time if ever. 5. China will fragment in the 2010’s due to internal pressures and foreigners will recreate spheres of influence in it. There are many who predict that China is the next challenger to the United States, not Russia. I don’t agree with that view for three reasons. First, when you look at a map of China closely, you see that it is really a very isolated country physically. With Siberia in the north, the Himalayas and jungles to the south, and most of China’s population in the eastern part of the country, the Chinese aren’t going to easily expand. Second, China has not been a major naval power for centuries, and building a navy requires a long time not only to build ships but to create well-trained and experienced sailors. I find the emphasis on physical land barriers to be quaint in an era of railways, air transport and massive merchant marines. China already has the industrial capacity and (through economic acquisitions and espionage) the technological capability to rapidly create a powerful blue-water fleet. Although the German Empire had no naval tradition to speak of, the Kaiserliche Marine went from being a small coastal defense to the world’s second largest fleet with better ships and better training than the Royal Navy, all just in the twenty years prior to the First World War. Third, there is a deeper reason for not worrying about China. China is inherently unstable. Whenever it opens its borders to the outside world, the coastal region becomes prosperous, but the vast majority of Chinese in the interior remain impoverished. This leads to tension, conflict, and instability. It also leads to economic decisions made for political reasons, resulting in inefficiency and corruption. This is not the first time that China has opened itself to foreign trade, and it will not be the last time that it becomes unstable as a result. Nor will it be the last time that a figure like Mao emerges to close the country off from the outside, equalize the wealth—or poverty— and begin the cycle anew. There are some who believe that the trends of the last thirty years will continue indefinitely. I believe the Chinese cycle will move to its next and inevitable phase in the coming decade. Far from being a challenger, China is a country the United States will be trying to bolster and hold together as a counterweight to the Russians. Current Chinese economic dynamism does not translate into long- term success. He expands on this in the book. Still, I disagree. China’s industrial production is real enough and it is moving rapidly up the technology ladder (its export basket is far more advanced than its still low per capita income would normally indicate). China is now going to focus on creating its “harmonious society”, improving social services in rural areas and expanding domestic consumption. The period of maximum danger has already passed. What happened in the psychologically demoralized and mentally backward China of the nineteenth century is not really relevant to what will happen to it in the twenty-first. That said, China does face some very real challenges – above all, resource depletion, environmental destruction and climate change. It has the resources to lock in energy supplies from abroad and has plentiful (but dirty) coal reserves. There’s also plenty of “coal gas”, an unfairly neglected but I suspect soon to become very important energy source (“There are also reports of Asian reserves of around 2,100 tcf – including 1,000 tcf in China, where the government is looking to rapidly increase production.” – Oil Drum). However, it faces severe environmental pressure as desertification and urbanization eat up agricultural land and water tables fall precipitously. Chinese grain production peaked in the mid-1990’s and has slowly fallen since. It possesses a fifth of the world’s population with just 7% of its arable land. Agricultural production is going to decline in traditional exporting breadbaskets like the US, Australia and Latin America with global warming, and competition for food will increase. Rising seas will threaten to inundate superdense settlements on its south-eastern seaboard and deserts will encroach from the northwest. This is going to be the crux of China’s challenge this century. 6. After 2030, three Great Powers will emerge to challenge the US: Japan, Turkey and Poland. In the middle of the century, other powers will emerge, countries that aren’t thought of as great powers today, but that I expect will become more powerful and assertive over the next few decades. Three stand out in particular. The first is Japan. It’s the second- largest economy in the world and the most vulnerable, being highly dependent on the importation of raw materials, since it has almost none of its own. With a history of militarism, Japan will not remain the marginal pacifistic power it has been. It cannot. Its own deep population problems and abhorrence of large- scale immigration will force it to look for new workers in other countries. Japan’s vulnerabilities, which I’ve written about in the past and which the Japanese have managed better than I’ve expected up until this point, in the end will force a shift in policy. I agree it will become more militarized and I suspect it will tackle its population troubles with increasing robotization. However it cannot match the military power of true superpowers like the US, China or a new Russian empire, largely for the reasons Friedman himself cited, and I believe it will bandwagon with the dominant Power in the region, China. Then there is Turkey, currently the seventeenth-largest economy in the world. Historically, when a major Islamic empire has emerged, it has been dominated by the Turks. The Ottomans collapsed at the end of World War I, leaving modern Turkey in its wake. But Turkey is a stable platform in the midst of chaos. The Balkans, the Caucasus, and the Arab world to the south are all unstable. As Turkey’s power grows—and its economy and military are already the most powerful in the region—so will Turkish influence. Considering that education is the elixir of growth, and that Turks (unlike Europeans, Americans and East Asians) aren’t the sharpest tools in the box according to international standardized tests of math / science literacy, I do not see them as a true Great Power any time soon. On the other hand I grant that Friedman’s scenario in the book in which Turkey melds the Arab nations into a new Caliphate and expands north into the Caucasus and the Balkans (the vacuum left over by the collapse of the Russian empire) is a distant possibility. Finally there is Poland. Poland hasn’t been a great power since the sixteenth century. But it once was—and, I think, will be again. Two factors make this possible. First will be the decline of Germany. Its economy is large and still growing, but it has lost the dynamism it has had for two centuries. In addition, its population is going to fall dramatically in the next fifty years, further undermining its economic power. Second, as the Russians press on the Poles from the east, the Germans won’t have an appetite for a third war with Russia. The United States, however, will back Poland, providing it with massive economic and technical support. Wars—when your country isn’t destroyed—stimulate economic growth, and Poland will become the leading power in a coalition of states facing the Russians. Japan, Turkey, and Poland will each be facing a United States even more confident than it was after the second fall of the Soviet Union. That will be an explosive situation. As we will see during the course of this book, the relationships among these four countries will greatly affect the twenty- first century, leading, ultimately, to the next global war. This war will be fought differently from any in history—with weapons that are today in the realm of science fiction. But as I will try to outline, this mid-twenty-first century conflict will grow out of the dynamic forces born in the early part of the new century. This is the “Promethean” scenario, in which the US helps in the collapse of the Russian empire using Polish proxies. Given his demographic emphasis, however, this is extremely unlikely since Polish demography is little better than German and worse than Russian (if measuring by total fertility rates); at just 40mn people, its population is simply too small to support a big arms burden and this will be true even if it were to recreate the old Polish-Lithuanian Commonwealth by incorporating Western Ukraine (20mn), Belarus (10mn) and Lithuania (5mn) to make a total of 75mn – less than Germany, lots of old people, and poorer. 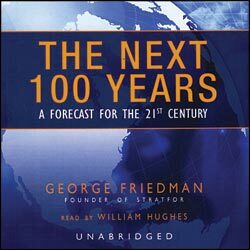 Frankly, the idea of Japan, Turkey and Poland challenging the US for global primacy around 2050 is ridiculous – even if we follow Friedman’s advice to “expect the impossible”. 7. Space-based solar technologies will substitute for hydrocarbons. After a damaging, hi-tech but very low casualty war between the US and the above Powers, the “concepts developed prior to the war for space-based electrical generation, beamed to earth in the form of microwave radiation, will be rapidly translated from prototype to reality” and the world’s energy will start coming from space-based solar installations, kicking off a massive economic boom. The trend towards ever fewer casualties in the last century was not because of any moral or technological reasons, but because there were simply no wars between Great Powers – a nuclear conflict between the US and the USSR would have killed far more people than World War Two. I think future Great Power wars will be very bloody and intense as soon as mobilization for total wars occurs, and will be quickly return to megadeath levels if some of the combatants are all out virulent totalitarianisms. Such a possibility should not be excluded. I find Friedman’s focus on space-based solar technologies narrow (there are many other emerging technologies) and believe that the most transformatory changes will come from the GNR Revolution (genetics 2010-2030, nano 2020-2050 and robotics, including superintelligent AI by 2030-2050. 8. End of the population explosion and competition for immigrants. After two centuries of rapid growth, the world population will level off by 2050 and advanced industrial nations will have rapidly falling populations. There will be incentives for immigrants to come and there’ll be more research into genetics and robotics so as to prolong productive lifespans and automate simpler tasks. Agreed on the key role of robotics and genetics, though it would be nice if Friedman covered them in more detail. I also believe that due to the effects of global warming and resource depletion, which Friedman totally dismisses, it is more likely that rich northern countries will intensify attempts to keep immigrants out instead. 9. Mexico will emerge as a competitor to the US in North America by 2080. Mexico will become economically developed and much of the US South-West will become de facto Mexican-ruled, thus threatening the territorial integrity of the US. Disagree. Mexico will sooner become a failed state because of global warming, plummeting oil production and lack of advanced technologies and human capital. The prospect of tensions and unrest between Mexicans and Americans in the South-West are real, but will not pose a threat to US sovereignty because of Mexican weakness. 10. Philosophical ruminations on geopolitics – although details are hard to predict, the overall picture can be discerned based on history and current trends. …Geopolitics applies the concept of the invisible hand to the behavior of nations and other international actors. The pursuit of short- term self- interest by nations and by their leaders leads, if not to the wealth of nations, then at least to predictable behavior and, therefore, the ability to forecast the shape of the future international system. Geopolitics and economics both assume that the players are rational, at least in the sense of knowing their own short- term self- interest. As rational actors, reality provides them with limited choices. It is assumed that, on the whole, people and nations will pursue their self- interest, if not flawlessly, then at least not randomly. Think of a chess game. On the surface, it appears that each player has twenty potential opening moves. In fact, there are many fewer because most of these moves are so bad that they quickly lead to defeat. The better you are at chess, the more clearly you see your options, and the fewer moves there actually are available. The better the player, the more predictable the moves. The grandmaster plays with absolute predictable precision—until that one brilliant, unexpected stroke. Nations behave the same way. The millions or hundreds of millions of people who make up a nation are constrained by reality. They generate leaders who would not become leaders if they were irrational. Climbing to the top of millions of people is not something fools often do. Leaders understand their menu of next moves and execute them, if not flawlessly, then at least pretty well. An occasional master will come along with a stunningly unexpected and successful move, but for the most part, the act of governance is simply executing the necessary and logical next step. When politicians run a country’s foreign policy, they operate the same way. If a leader dies and is replaced, another emerges and more likely than not continues what the first one was doing. 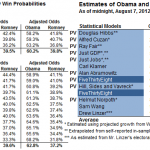 …Geopolitical forecasting, therefore, doesn’t assume that everything is predetermined. It does mean that what people think they are doing, what they hope to achieve, and what the final outcome is are not the same things. Nations and politicians pursue their immediate ends, as constrained by reality as a grandmaster is constrained by the chessboard, the pieces, and the rules. Sometimes they increase the power of the nation. Sometimes they lead the nation to catastrophe. It is rare that the final outcome will be what they initially intended to achieve. Geopolitics assumes two things. First, it assumes that humans organize themselves into units larger than families, and that by doing this, they must engage in politics. It also assumes that humans have a natural loyalty to the things they were born into, the people and the places. Loyalty to a tribe, a city, or a nation is natural to people. In our time, national identity matters a great deal. Geopolitics teaches that the relationship between these nations is a vital dimension of human life, and that means that war is ubiquitous. Second, geopolitics assumes that the character of a nation is determined to a great extent by geography, as is the relationship between nations. We use the term geography broadly. It includes the physical characteristics of a location, but it goes beyond that to look at the effects of a place on individuals and communities. In antiquity, the difference between Sparta and Athens was the difference between a landlocked city and a maritime empire. Athens was wealthy and cosmopolitan, while Sparta was poor, provincial, and very tough. A Spartan was very different from an Athenian in both culture and politics. …The twenty- first century will be like all other centuries. There will be wars, there will be poverty, there will be triumphs and defeats. There will be tragedy and good luck. People will go to work, make money, have children, fall in love, and come to hate. That is the one thing that is not cyclical. It is the permanent human condition. But the twenty- first century will be extraordinary in two senses: it will be the beginning of a new age, and it will see a new global power astride the world. That doesn’t happen very often. We are now in an America- centric age. To understand this age, we must understand the United States, not only because it is so powerful but because its culture will permeate the world and define it. Just as French culture and British culture were definitive during their times of power, so American culture, as young and barbaric as it is, will define the way the world thinks and lives. So studying the twenty- first century means studying the United States. This is perhaps the biggest point of disagreement. The twenty-first century will be unlike all previous centuries. As I’ve argued here, it’s a make or break century. Either we overcome limits to growth and survive long enough to usher in a technological singularity / Green Communism, or our industrial civilization tumbles into the dark depths of the Olduvai Gorge. The outcome will depend on three things – resource depletion and environmental degradation; technological development; and perhaps most importantly, our politics and values. If there were only one argument I could make about the twenty-first century, it would be that the European Age has ended and that the North American Age has begun, and that North America will be dominated by the United States for the next hundred years. The events of the twenty-first century will pivot around the United States. That doesn’t guarantee that the United States is necessarily a just or moral regime. It certainly does not mean that America has yet developed a mature civilization. 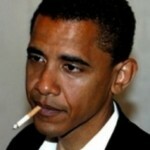 It does mean that in many ways the history of the United States will be the history of the twenty- first century. The US will certainly dominate North America – its neighbors are geopolitical basketcases and even if catastrophic global warming occurs, it will conquer Canada and tranfer its population north. However, the pivot of the twenty-first century is as always before going to be on the Eurasian landmass, which has 70% of the world’s population and is the focal point of almost all new social ideas, wars and revolutions. You might have gotten the impression that I criticize Friedman so much that my praise for him at the beginning was not genuine. That’s wrong. His short-term geopolitical analysis is superb. It is also a lot more nuanced when he gets more space to write down his views. I find the writings on Russian geopolitics, as well as things like his series of monographs on the geopolitics of Israel, Iran and China, to be of the highest caliber and essential for understanding geopolitical dynamics in Eurasia. Nonetheless, he has four critical failings as a serious futurist. Firstly, he discounts the role of non-geopolitical factors (economics, ideologies, culture and religion, etc) in driving history – as such, just like the realist, clash of civilizations, or idealist / end of history theses in international relations, the analysis is revealed as one-dimensional when stretched far enough into the future. Secondly, there is a near total lack of attention to ecological issues, as well as unrealistic projections of energy usage and technological development. Thirdly, far too much stock is put into semi-mystical “cycles” of history for particular countries, such as America’s 50-year cycles of transformation and China’s cycles of expansion, isolation and collapse. Never precise to scientific to begin with, they are ever more irrelevant in the accelerating world of today. Fourthly, there is too much emphasis on territorial and geographical features from a conventional military perspective, especially in the case of nuclear armed Powers – with next to nothing on the potential use of WMD’s, be it by nation states or terrorists and malcontents. As such, I would treat his long term prognoses in The Next 100 Years with a pinch of salt.